UNITED ENGINEERING COMPANY is a leading Electronic Manufacturing Services provider for over a decade in Thane City which is situated in Mumbai Metroplolitan Region. We are well-equipped with automated new technology machinery and instruments which facilitates on-time production and enables quality to be built-in through the assembling process. We also have a full generator back-up facility. Our Founder Partner is a qualified professional with B Tech degree in Electrical Engineering with Electronics from BHU-IIT and more than 32 years experience in the fields of PCB Design & Development and manufacture of Electronic Control Circuitry for application in electrical appliances and accessories. We have full Box Building facility. 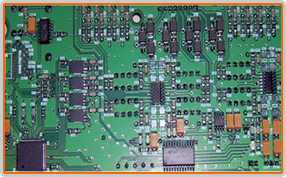 We also provide PCB Design & Development support for our long-standing customers. In-keeping with the suggestions for improvement given by our Research & Development team, we inform our customers of the same, and after their approval we implement the improvements in their PCB design, thereby enabling them to have highly marketable products. Many of our customers have acknowledged that since when they have outsourced assembly to us, they have been able to capture the market with their products. We are an ISO 9001:2008 Certified Company. Our staff and workforce are qualified and well-trained to deal with all types of PCB Assemblies, thereby ensuring timely delivery of high quality Assemblies and Products. We undertake manufacturing on “Job work” and “Sourcing Type Business”. Our un-matched quality standards make us one of the leading players in EMS field in Thane. We sign Non-Disclosure Agreements (NDA) with our customers and take care of their property (jigs, programs, etc.). We comply with national and international norms for protection of IPR of our customers. We can say with pride that we have been successfully delivering our promises to our customers and 50% PCB Assemblies are export base business.